Before we get ready for the New Year celebrations, it's first time to say Goodbye to December 2018. 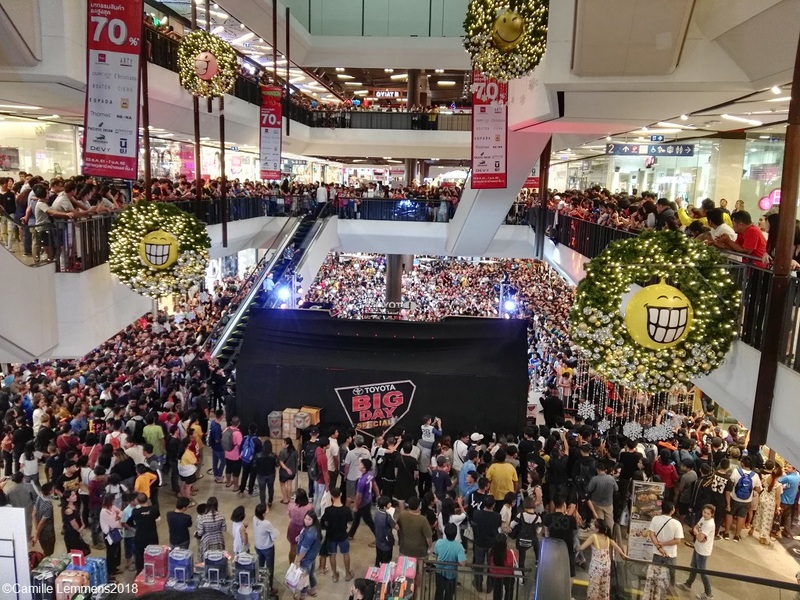 The first two weeks of this December 2018 version were as can be expected of a rainy season. Wet and windy. Plenty of flash floods and cloudy skies. The last two weeks of this month were much better. Plenty of sunshine with just occasionally a shower. A very typical December, one almost straight out of the text book. 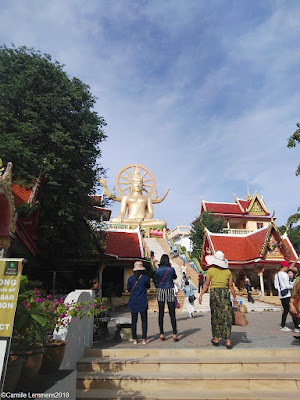 Goodbye to December 2018; Big Buddha just a few days ago. Busy at this time of the year and under a blue-ish sky. Part of last month I did spent on Phuket for a PADI IDC and two weekends were spent in Surat Thani. Four consecutive weeks I had mini marathon races. In Thailand that means an approximate 10km distance. I was very successful with this, resulting in a 3rd, 4th, 5th and 6th place in my age group of 50-59 years. This last weekend of the year is being spend on Koh Samui though. We're still debating on where to go tonight for the fireworks. Enjoy the New year celebrations but remember, don't drink and drive! Be safe! Sunday morning and the last long and slow distance run of this year has been completed and it's time for the Koh Samui, Thailand weekly weather update; 24th December – 30th December 2018. This morning it's partially to fully cloudy with a current temperature at 10am of 28C. It feels warmer though! 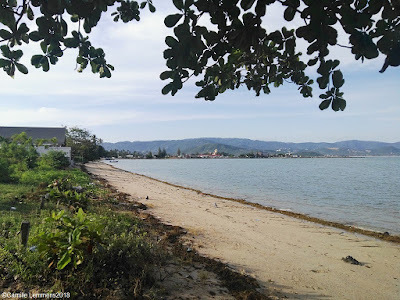 Koh Samui, Thailand weekly weather update; 24th December – 30th December 2018; View over Plai Laem beach, with Big Buddha in the far distance. A narrow beach and not that great for swimming. It's very flat and shallow and covered with rocks. Great views though and quiet! Last week was a fine week. It started out with rain on Monday and Tuesday but the rest f the week it was nice and sunny and partially cloudy as the worst option. Maximum temperatures ranged between 33C and 25C. A nice way to finish the year, in good style! The forecast is a different cooky. Some rain possibly later today and tomorrow. New Years Eve should be dry. However come Thursday 3rd and especially Friday 4th January, a massive storm may be moving over Koh Samui. It may bring very strong wind and lots of rain over these two days. A potential stormy and turbulent start to the year! We'll see how this will pan out. In the meantime though, a Happy and Prosperous New Year! Be safe and don't drink and drive! 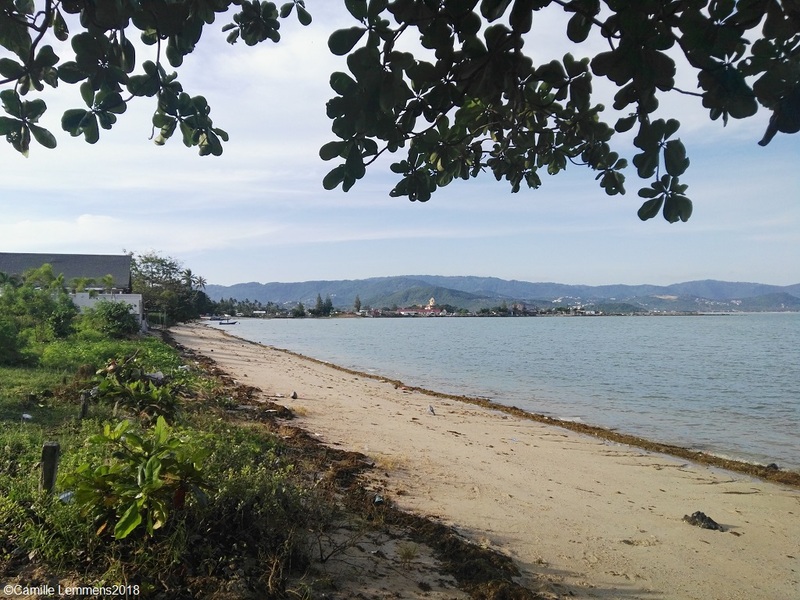 Sunday morning again and time for the Koh Samui, Thailand weekly weather update; 17th December – 23rd December 2018. This time originating from Surat Thani city. Busy weekends this month so far! It's blue skies and sunny around Koh Samui with a current temperature of 32C at 10.30am. The rainy season is behind us now. Enjoy the sun and crazy hot temperatures for December! In Surat Thani it is very similar to Koh Samui. Blue skies and in the lower thirties Celsius. This morning I ran my last race of the year at Central Plaza in Surat Thani and placed 5th in my age category 50-59 years. Later today we're heading back home again to Koh Samui. Last week the weather on Koh Samui turned from monsoon and rain into dry and sunny with blue skies! As of Thursday, the day after I got back from Phuket, the weather changed for the better. Maximum temperatures ranged from 26C to 33C and minimum temperature 24C. Occasionally there was some strong wind. The forecast for next week is looking good. Tomorrow it will still be very sunny. Tuesday and Wednesday more cloudy with possibly some rain. The rest of next week and the coming weekend should be cloudy but dry. Enjoy this nice weather at the end of the year! 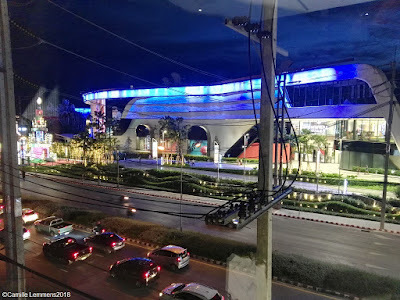 Koh Samui, Thailand weekly weather update; 17th December – 23rd December 2018; Yesterday a very popular Thai girl band played in Central Plaza in Surat Thani; BNK 48. It was packed to the rafters. The crowd went crazy over 40 minutes of entertainment. 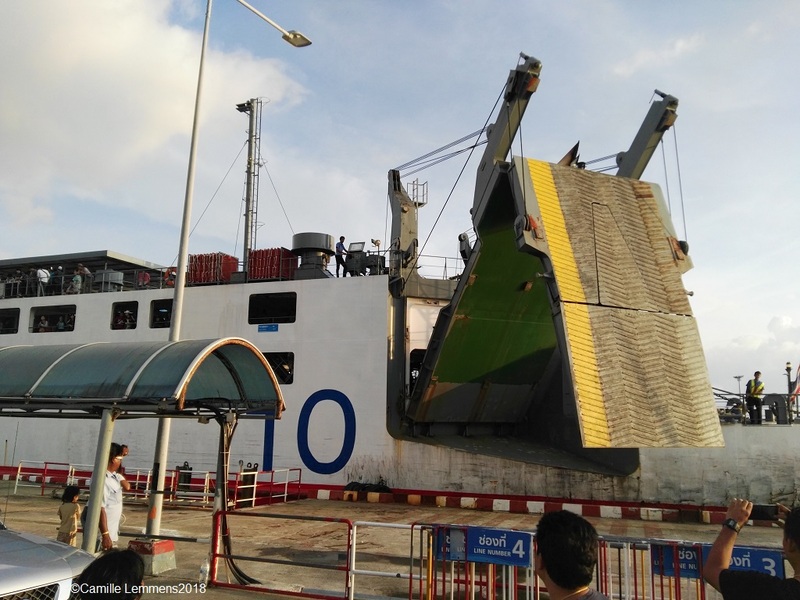 Late afternoon but time for the Koh Samui, Thailand weekly weather update; 10th December – 16th December 2018. It's been a busy day with a 10km race early morning in Phuket Town at 6am. After that I was off to Kata beach for the closing of the PADI IE (Instructor Exam). Both events went successfully. I was 6th this morning in my age category 55-59 during the run. At the PADI IE both of my candidates passed with flying colors. In the meantime, back on Koh Samui, it came down bucket wise. Hard to very hard rain was around in the morning. Now it's slightly better, wet but no hard rain anymore. Current temperature at 16.30 is 25C. Phuket had rain last night and a drizzle at occasion this morning. At 16.30 it's 29C and mostly cloudy. 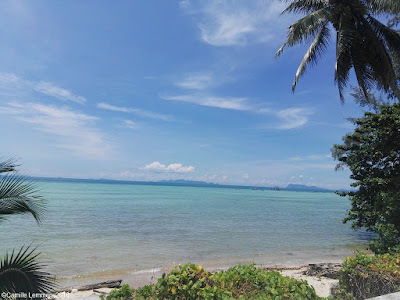 Koh Samui, Thailand weekly weather update; 10th December – 16th December 2018; Notorious Soi 7 in Plai Laem. 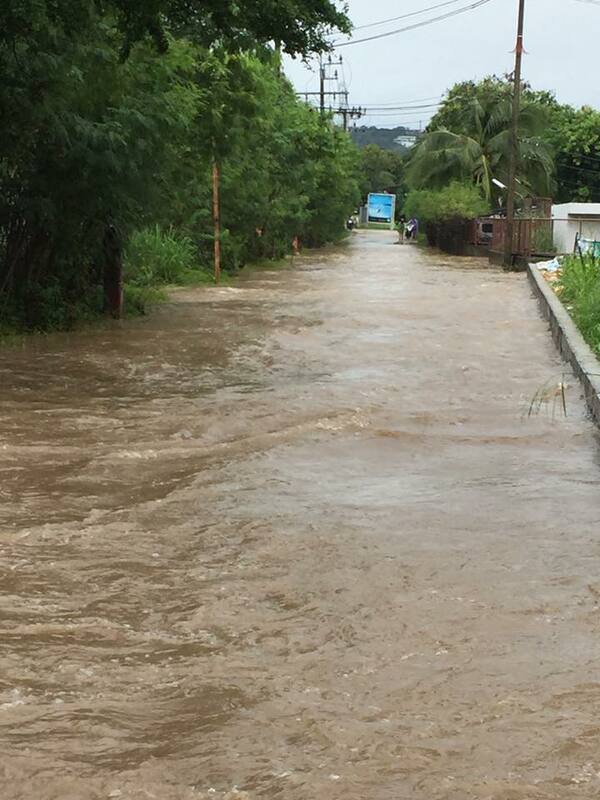 Heavy floods were all over Koh Samui last week. Picture by Jim Lewis. Last week was a classic rainy season week on and around Koh Samui. Most days rain with sometimes hard rain. Plenty of floods all around the island. However, with the current drainage system, the water doesn't stay around for too long once it stops raining. 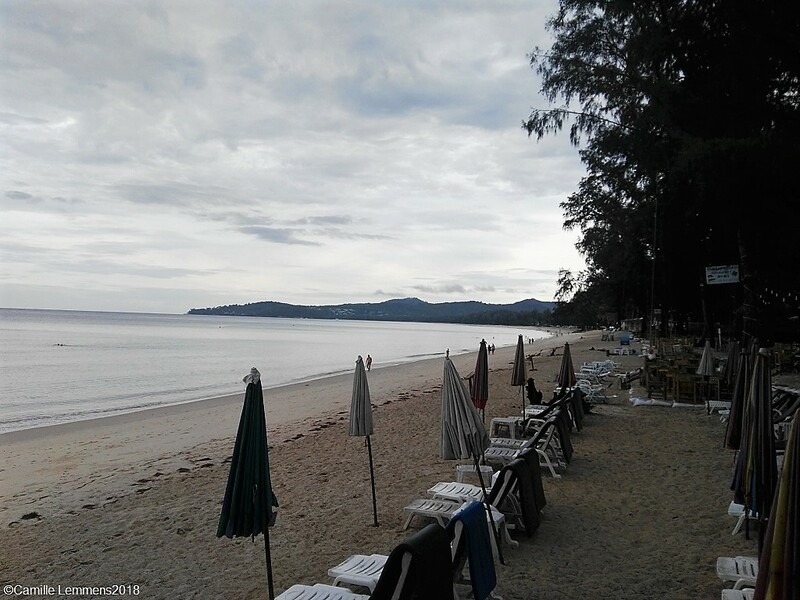 Koh Samui, Thailand weekly weather update; 10th December – 16th December 2018: Bangtao beach on Phuket. Early morning and still nice and empty. Just hold on for three more days. Come Wednesday the rainy season is looking like it's on the way out. Tomorrow and Tuesday still look very wet but Wednesday afternoon it should turn dry, and the sun should break through again. Get ready for a white Christmas! I mean, a dry Christmas! Merry Christmas everybody and enjoy your time on Koh Samui next week. 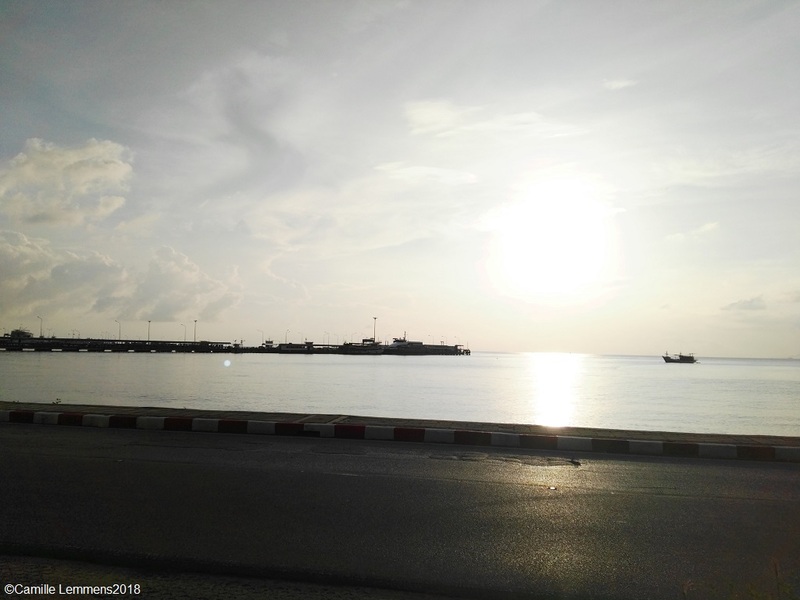 It's Sunday morning and once more time to have a look at the Koh Samui, Thailand weekly weather update; 3rd December – 9th December 2018. Since Tuesday I am on Phuket, enjoying much better weather conditions here compared to Samui. Sometimes an afternoon or evening with hard, but also plenty of sun time. Current temperature near Kata on Phuket at 10am today is 28C and it's partially cloudy. This morning a participated in a 10km race at Bangtao beach on Phuket, which is near the Phuket Laguna. I did well qith a race over 10.85km in 50'49 minutes and got the 4th place in my age category 50-59 years old. On Phuket that's a good result for me! 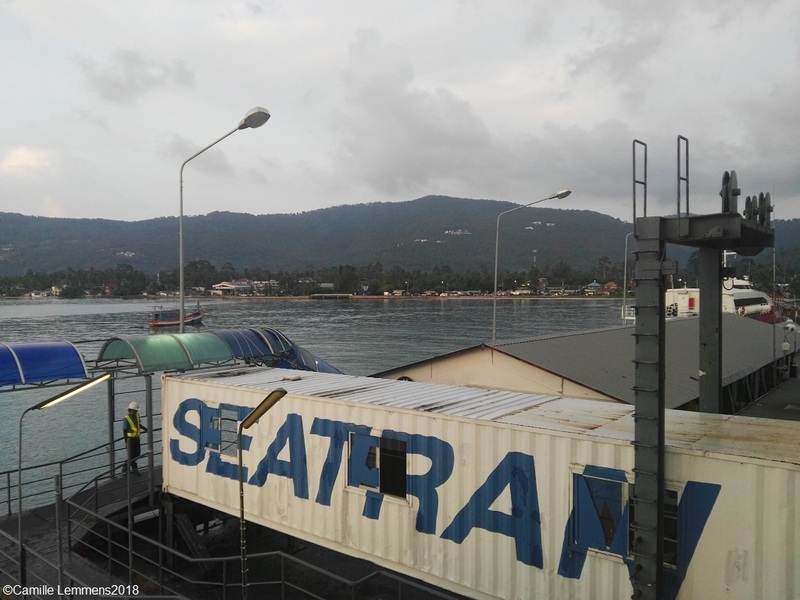 Koh Samui, Thailand weekly weather update; 3rd December – 9th December 2018; The Seatran ferry in Nathon, the walkway on to the ferry. Nathon is in the background. 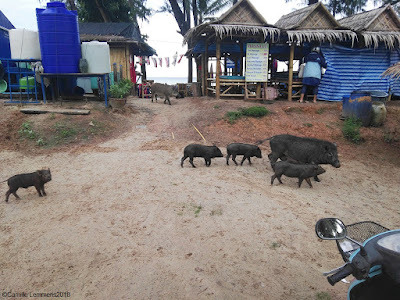 Last week, around mid week the rainy season hit Koh Samui full on. Lots of rain, cloudy skies and plenty of flash floods all over the island. If you're really lucky, you will get a power cut thrown in at no extra cost! Maximum temperatures reached 32C and minimum temperature reached 23C on 7th December. Koh Samui, Thailand weekly weather update; 3rd December – 9th December 2018; This morning I ran a mini marathon in Bangtao on Phuket. This is a picture at Bangtao beach, with some free roaming pigs. The forecast is not looking too good for next week. A steady, fairly strong wind and hard rain to light rain pretty much every day with few breaks in the downpour. Let's hope this won't last too long and we can welcome sunnier skies soon enough again. It's Sunday morning and this blog we have a look at the Koh Samui, Thailand weekly weather update; 26th November – 2nd December 2018. It's nice and fairly sunny with a current temperature of 30C on Koh Samui but it feels already much closer to cooking temperature once you're out in the sun. I find myself for the third consecutive weekend in Surat Thani. Yesterday my wife's niece graduated from the Tapee University in Surat Thai, so the whole family came over. This morning a ran a 10k mini marathon race. I also ran 3km before and 5.5km after after the race to get my training quota in. Now it's time to enjoy the weekend market in Surat Thai and a few other shopping opportunities that my wife wants to visit! Last week was a nice week, with plenty of good weather and sunshine. Two days had rain, towards the end of the week but the weekend was nice again. Maximum temperatures reached 34C and minimum temperatures reached 24C. Another very good week for a rainy season! Mild and fairly sunny! Keep it coming! 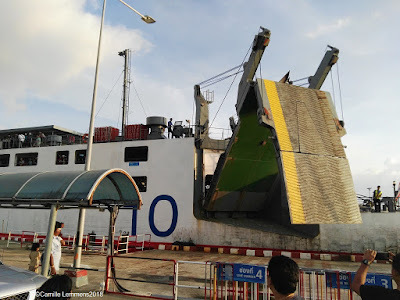 Koh Samui, Thailand weekly weather update; 26th November – 2nd December 2018; Surat Thani flat bottom boat trip at the weekend market. This market and the boat tour are located just over the bridge at the city shrine, a few kilometers inland at a local temple or wat. The bot ride is 20Baht per person and well worth it. 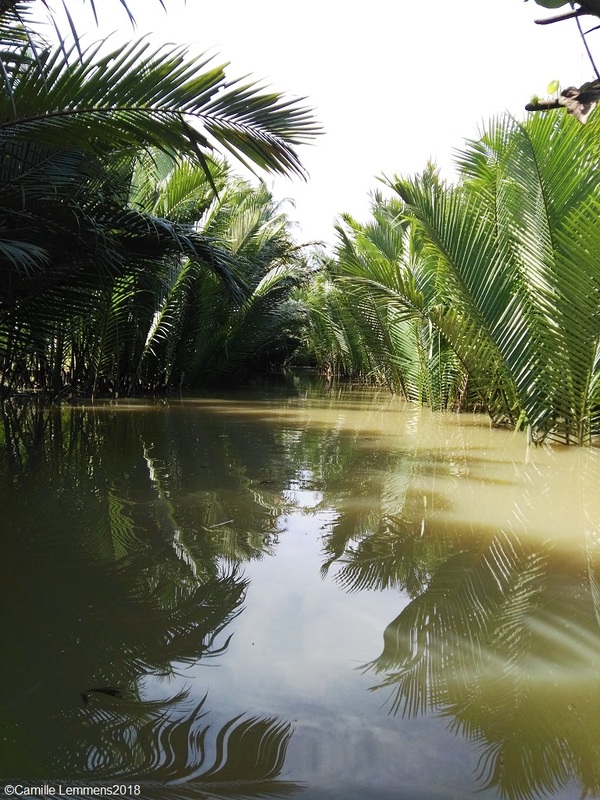 A nice and relaxed ride for about 15-20 minutes in a nice natural environment with a canopy made by water palm trees. The market is also nice and worthwhile visiting. Some good food to be had! The forecast for next week is looking good for tomorrow. After that be prepared for a couple of showers each day and some hard wind and wet days over the weekend. The last month of the year has started and it's a 'warm' Welcome to December 2018. The weather during December on Koh Samui has typically two faces. A wet and windy face with lots of rain, thunderstorms and flash floods during the first half of December. Less clouds and rain with some more sunshine during the second half of the month. These are generalizations though. Last year we had a very rough December almost all month long. This year it looks like the first couple of days of December 2018 are looking nice. Later during the week, some rain might show up and next weekend looks windy and wet! Welcome to December 2018; Nathon boulevard, yesterday late afternoon. The sun is setting and the Seatran ferry to Donsak is about to set sail. With us on it! Three weekends in a row now, I have been in Surat Thani! This weekend for our nieces University graduation ceremony. It will be a busy month for me, a PADI IDC needs to be taught on Phuket. The next fur Sundays will also see 10km runs or mini marathons as they are called here in Thailand. Two in Surat Thani with tomorrow morning one of them and a Christmas run in Surat. The next two weekends will see me in action on Phuket. There will also be plenty of Christmas and New Years activities around the island. Check with your respective hotels and keep an eye out on my Facebook page. Enjoy your stay on Koh Samui throughout this December and merry festive days!